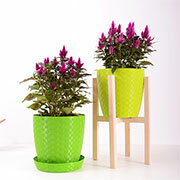 Treat your home to some potted air freshener and bring houseplants into your living spaces. We look at six of the most popular herbs that you can use to make your home a happier, healthier place to live. 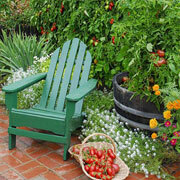 Even if your outdoor space is a small balcony, that doesn't mean you have to forget about gardening. 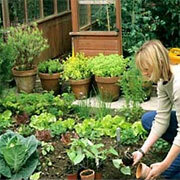 You can establish a thriving herb and veggie garden in small spaces. 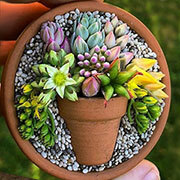 Take a look at a new craze stirring up the Internet recently... miniature succulent gardens - a pot in a pot! 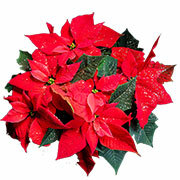 If you're rushing around for last minute decor ideas, don't overlook the beautiful deep red and green of the poinsettia plant - a traditional Christmas favourite. 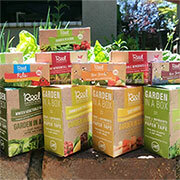 Claire Reed of Reel Gardening has designed a simple and easy to use system for growing your own organic vegetables. 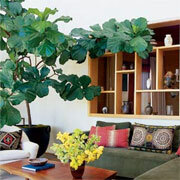 It is possible to have a green oasis in your home - even in the smallest spaces. You may be tired of everyone urging you to save water, but this natural resource has become very precious and we need to do everything we can to reduce usage. With the arrival of Spring anyone that has a garden with lawn knows it’s time to start prepping for another year of growth and colour. Spring is almost here and it's time to start spending some time in the garden to have it looking good for the hot months ahead, so we put together a collection of creative ideas for edges around borders and beds. 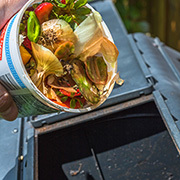 A large percentage of our daily household waste is organic and this waste can easily be turned into compost that can be used to enrich the garden. 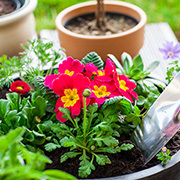 Given the cold weather, it may not seem like a great idea to get yourself outdoors but, putting in the work now means that you get to enjoy a thriving garden come spring/ summer. 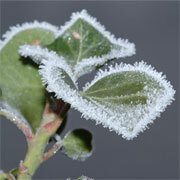 If left unattended, hedges can quickly become overgrown and straggly. Here's how to cut your hedges for a perfect manicured garden. 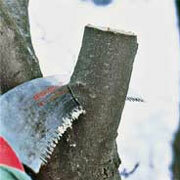 Pruning, a word and an action you should always prioritise, at least once a year. 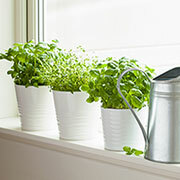 You really can create your own herb garden indoors – all you need is a sunny balcony or, an unused space on your naturally-lit kitchen counter. 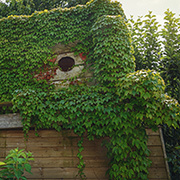 Recent research tells us that natural homes for bees are becoming less in abundance. 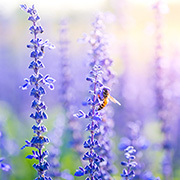 Which means that planting a bee-friendly garden should become a priority when planning one. If it's time to repot houseplants, this is an opportunity to take cuttings and grow more plants for the home. 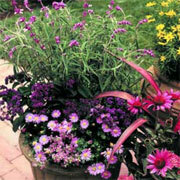 Container gardens are popular for enhancing the appearance of indoor and outdoors spaces. 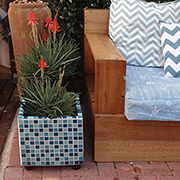 And containers themselves can serve as eye-catching focal points. 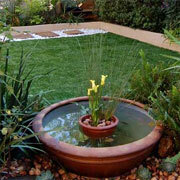 Growing plants in containers is considered a water wise practice, providing certain guidelines are followed. 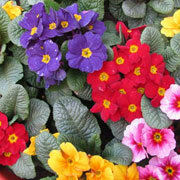 As the weather starts to warm up you'll be thinking of ways to add spring colour to the garden. 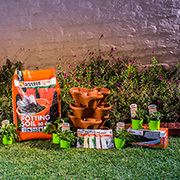 Garden centres and Builders Garden section will soon be brimming with spring plants. 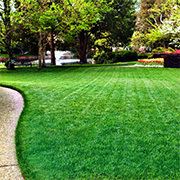 If you want a lawn in tip-top condition for summer, now is the time to get going with Spring lawn care and treatment. 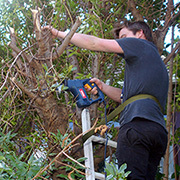 If you haven't yet got round to trimming overgrown trees and large shrubs, now is the time to do it. 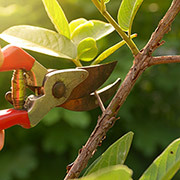 Plant growth slows down during the winter and there is less chance of infection when trimming - so grab your garden shears and get pruning! When winter arrives, we close windows and doors to keep a home warm. 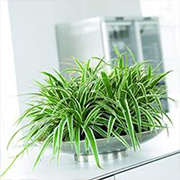 Adding air purifying plants not only benefits air quality, but also removes toxins that we breathe. 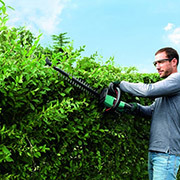 The handy Bosch ISIO III Grass & Shrub Shear cuts effortlessly around lawn edges and through small hedges and bushes. 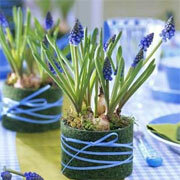 It's almost time to pop into your local garden centre and stock up on bulbs for spring. 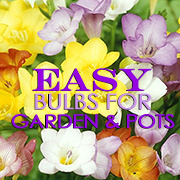 Here are some of the easiest bulbs to grow in your garden - or in pots. 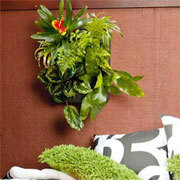 Hanging plants are a wonderful way to bring a touch of the garden to your indoor spaces. 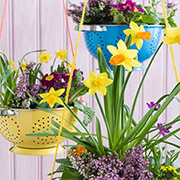 We look at crafty ideas for hanging plants. 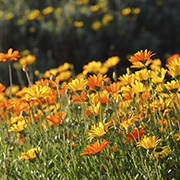 Spring has definitely arrived, but in many parts of the country we are experiencing severe drought conditions. 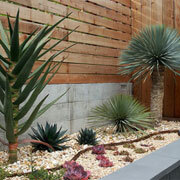 We offer some tips on having a beautiful garden that doesn't rely on regular watering. 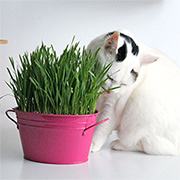 Cat grass - dactylis glomerata - keeps your cat entertained and happy, and it's so easy to grow your own cat grass from seed. 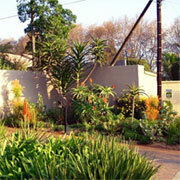 House, cluster or townhouse - there will always be issues with neighbours. We offer some sensible advice on how to avoid conflict that could result in an expensive legal battle. 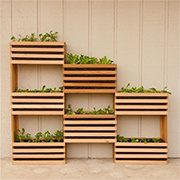 Using affordable materials found at your local Builders Warehouse you can make your own modern vertical garden for kitchen herbs and small salad veggies. 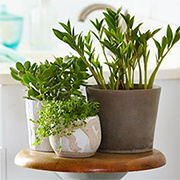 Use plants to freshen up a bathroom. 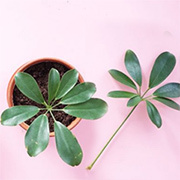 There are plant varieties that will be more at home in a bathroom since lighting, humidity and temperature play a large part on which plants are best for a bathroom. 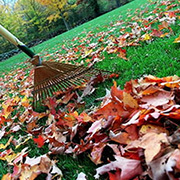 Around the country the cooler mornings and evenings herald the beginning of Autumn and an indication that it's time for some maintenance in the garden to prepare for winter. 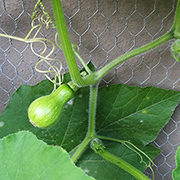 While watching the gutter garden grow I thought it might be nice to grow cucumbers, butternut and gem squash. I haven't grown these before but I have a large strawberry pot that would be perfect for them. With all the mini improvements taking place the small veggie garden that I had outside the door is no more. 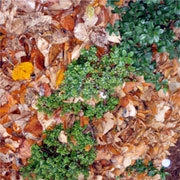 To take its place, and keep the kitchen supplied with fresh herbs and salad veggies, I planted a gutter garden. 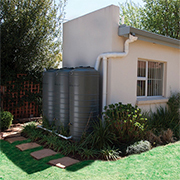 Next on my list of things to do is to add a Jo Jo rainwater harvesting tank. If the rain that we had last year is anything to go by, it will fill up the tank quickly. In the spirit of wanting a beautiful garden without having to worry about drooping plants, I am busy potting up a collection of indigenous varieties and succulents. 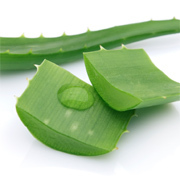 Aloe vera features in many South African gardens as an ornamental plant due to its drought-resistance and interesting form - making it a useful plant for rockeries and low-maintenance landscaping. 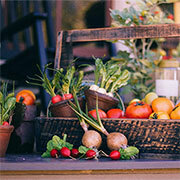 Here's some good news for garden enthusiasts who like to grow their own veggies. 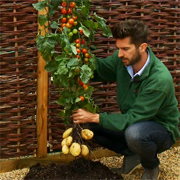 Sometime in the future you will be able to grown tomatoes and potatoes on one plant... the TomTato plant. 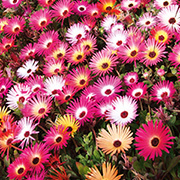 Spring has sprung and colourful annuals are everywhere. 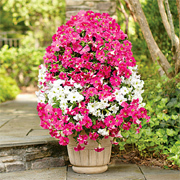 Here's how to create a beautiful colourful petunia flower cascade for your garden or patio. 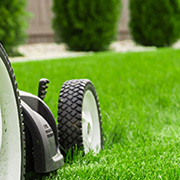 Having a lush green lawn is easier than you think if you use the right tools. 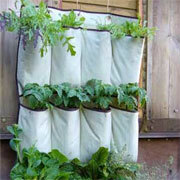 You can be both efficient with your gardening and eco-conscious. 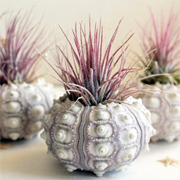 Air plants - Tillandsia - take their nutrients from the air and all they require is light (not direct sunlight) and an occasional misting of water from a spray. 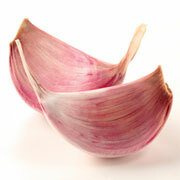 Buy a couple of plants and pot them up in timber offcuts, blocks of wood, or even seashells. 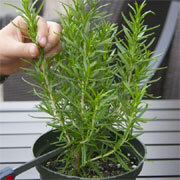 Growing Rosemary doesn't require any special gardening skills and it seems to grow with only regular maintenance. 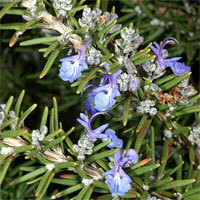 Buying Rosemary plants, however, can be expensive. 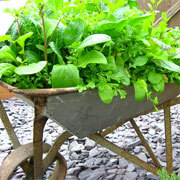 Foolproof gardens - for those without green fingers! Having a beautiful garden to look at or lounge in can be hard work, but for those that don't have 'green fingers' there are plenty of ideas to have a gorgeous garden without the hard work. This garden shop located in San Francisco offers wonderful items for garden and home Flora and her team come up with the most amazing ideas for home decor using plants and accessories, and in this feature I want to share with you some vertical garden ideas. 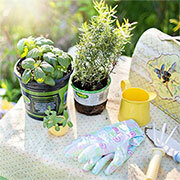 As we move into spring, now is the perfect time to head off to your local garden centre. 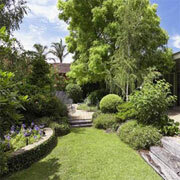 If your garden is lacking in colour and texture, here are a few ways to add colour to a garden. 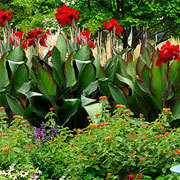 Cannas look their best in the mixed herbaceous border. 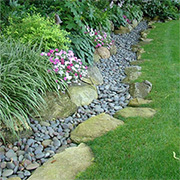 As we move into August, there's no better time to get out into the garden and start preparing beds for spring planting. Even if you have an established garden, there are going to be tasks and projects that need to be done before the days start hotting up. Eating foods grown in your own vegetable garden means you won't be contributing to the carbon footprint left behind by the "food miles" it takes to bring imported produce to your local grocers - so you're helping the environment, too. As the cooler weather sets in, Primulas are a beautiful addition to a garden getting ready to rest for the winter months, and their glorious colour extends the beauty of a small garden even more. There's a bulb that not many gardeners think about, yet it's relatively easy to grow and provides you with a fresh, home grown supply that's healthy and a must-have ingredient for many recipes. 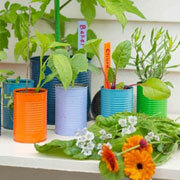 If you live in a townhouse, flat or apartment and don't have access to a garden, here's a way to recycle empty tins into colourful containers for herbs and plants. 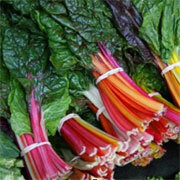 Swiss Chard Beta vulgaris ‘Bright Lights’ has to be one of the easiest and most colourful vegetables that you can add to a garden. 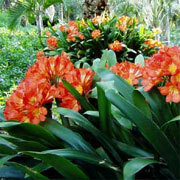 As the heat becomes intense many garden plant varieties tend to wilt from lack of water. 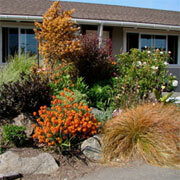 Ornamental grasses are not only boldly dramatic, they know how to tough it out in the heat of summer. 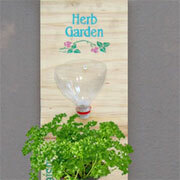 Plant a wall-mounted vertical garden to let plants grow over a wall rather than in the ground or in containers. 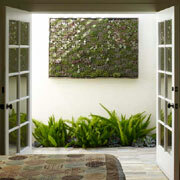 You can use this idea for both indoor and outdoor wall displays. 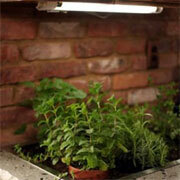 You can have fresh herbs all year round with a built in countertop herb garden. The only requirement is that the plants receive a fair amount of light during the day, so preferably place close to a window. Although I have a small garden, I have tried to fill the space as much as possible with plants that I love. I truly believe that the success of the garden is due to the fact that I recycle everything that grows. 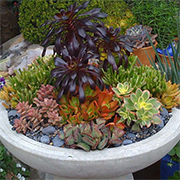 We're always looking for shortcuts and ways to save time, and establishing an indigenous or succulent garden is one of the ways to spend less time gardening and watering, and more time actually enjoying or relaxing in the garden. I finally managed to get into the garden and get my veggie and herb section started. A cup of herbal tea a day could very well keep the doctor away! 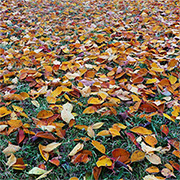 It's not easy to determine a single problem when areas of your lawn start to go brown or die, but there are ways that you can learn to identify individual problems and the solution required. 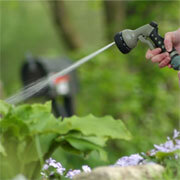 Got a water-waster on your street who overwaters his lawn (and driveway)? 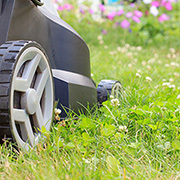 Thinking about busting up your concrete driveway for something a little more eco-friendly? 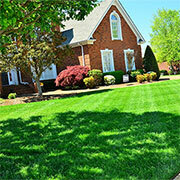 Here are some tips for turning a manicured lawn into a more natural place. 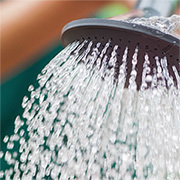 The first step when determining a watering regimen is to test your soil’s water-holding capacity. This easy test is a much better way to figure out when to water than waiting for plants to wilt. 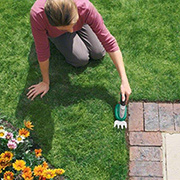 Not only does winter make everything look dull and lifeless, it can also cause quite a bit of damage to your garden if you are not careful. For the herbs I have planted some here and there in the new bed that I am busy building, but I have also made a herb garden that is mounted right next to the door, so that I can easily pick off a few for cooking. Edible landscaping is quickly becoming more attractive amid soaring food prices, rising fuel costs, alarming pesticide scares, and increased environmental awareness. 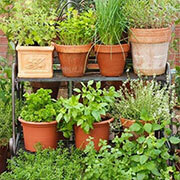 A kitchen garden - or potager - is the perfect way to start growing your own herbs and fresh vegetables. 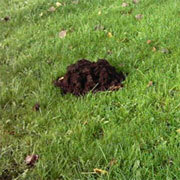 Moles can ruin the appearance of your lawns and flower beds, and their tunnels damage the roots of young plants, flowers and vegetables. 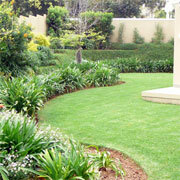 Many people do not have large gardens, either by design or through necessity. Fortunately, a number of bulbs lend themselves to being grown successfully in pots, tubs, window boxes or other containers. 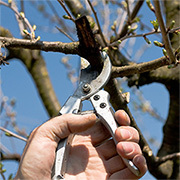 Pruning stimulates growth and the ultimate goal is to encourage the tree to grow strong, healthy branches headed in the right direction. There's more than one way to plant up a pot. 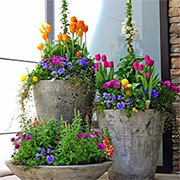 Be inspired by these wonderful potted designs. 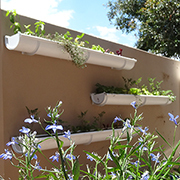 I came across this project on Instructables and thought that this is a great idea for growing small kitchen veggies and herbs, especially for those living in a flat or townhouse with a small balcony. 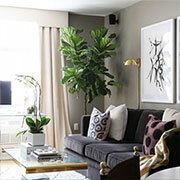 Whether your thumb is green or not, a great houseplant does round out a room. 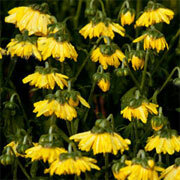 Gravitate to varieties that can act as green sculptures, adding shape as well as liveliness to an interior - a bigger specimen is always better than waiting for a smaller one to grow to optimum size. 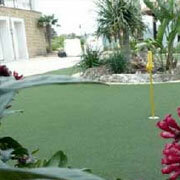 A lush green garden all year round! Artificial grass has been around for a long time and ongoing development has resulted in a product of outstanding quality and durability. 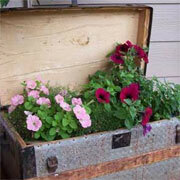 There are many ways to have container displays in the garden. After searching the Internet for ideas I found some very unique ways to add a touch of container style to a garden or balcony. Inside the house or out, a clean, smooth line provides a finished look and a sense of clarity to an area. 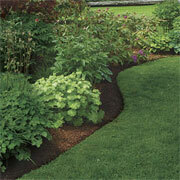 In my garden, a razor-sharp edge serves as a stage that sets off the careful planning and maintenance I do. There are two types of golf widows: Those who prefer their men to disappear for hours on end and those that wish their men would spend more time at home. If you consider yourself to be the latter, perhaps it's time to consider the installation of a small putting green in the garden! 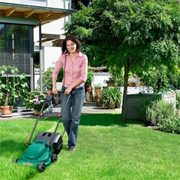 If your lawn suffers from acute soil compaction, rampant weed problems, heavy thatch or organic matter deficiencies, you may want to remove the existing weeds and grass and start anew. Because a garden is a practical and visual extension of the house, it is logical to give its style and layout careful consideration. 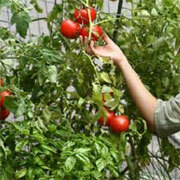 With grocery bills climbing planning a vegetable garden this year, growing your own is a matter of Rands and sense. Can planting a veggie patch really save you money? Having a shady garden has resulted in a garden that lacks colour, although I do tend to add a bit of colour here and there with painted furniture and pots. Thoughts about a luxury lawn in front of the house have been tormenting us since the middle of winter, but often the idea is postponed year after year. Technology has come to the rescue of individuals who love the opportunity to grow plants but who do not have the luxury of garden space. 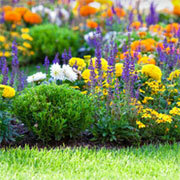 How you can breathe life into even the most jaded garden lawn. 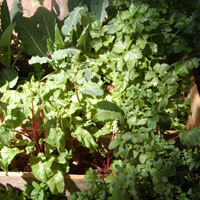 The easiest way to get started in creating your own vegetable patch is simply to do it!